Softbank Mobile and KDDI, the existing two Japanese iPhone carriers offered (as usual) the exact same pricing and discounts. NTT Docomo, the new iPhone carrier, beat them in price in just about every category, the most significant being their Student discount. This waived the base voice fee for 3 years and gave a discount on data of ¥1,050. Of course, Softbank has now matched this, which comes as absolutely no surprise. No word from KDDI yet, but I assume they'll also match this discount. 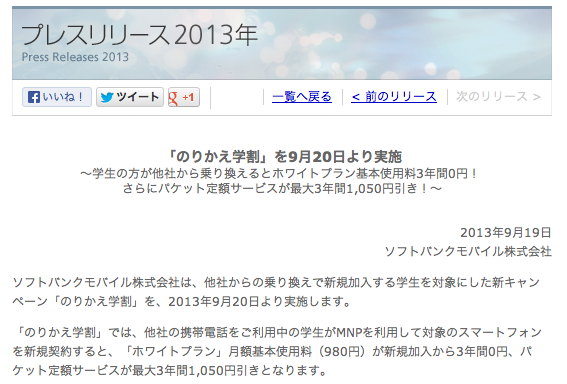 Read the Softbank student discount announcement. I'm sorry for asking this here (couldn't find another place) but is the new iPhone 5 line going to be unlockable? I have a boss coming from Singapore who wants to buy one and take it back to Singapore due to the weakening of the Yen but my guess is the SIM card is locked and will NOT work. Anybody know?